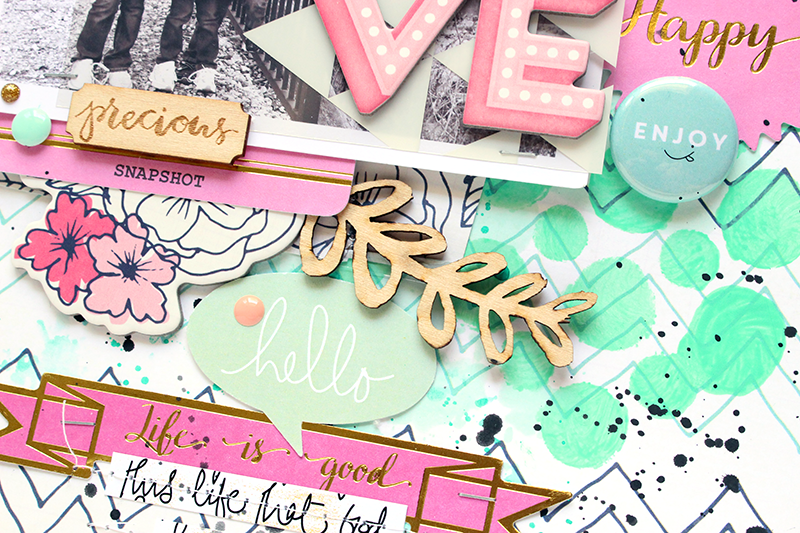 I'm back today to share two new layouts for Hip Kit Club, using the March 2015 Hip Kit & Add-On Kits. 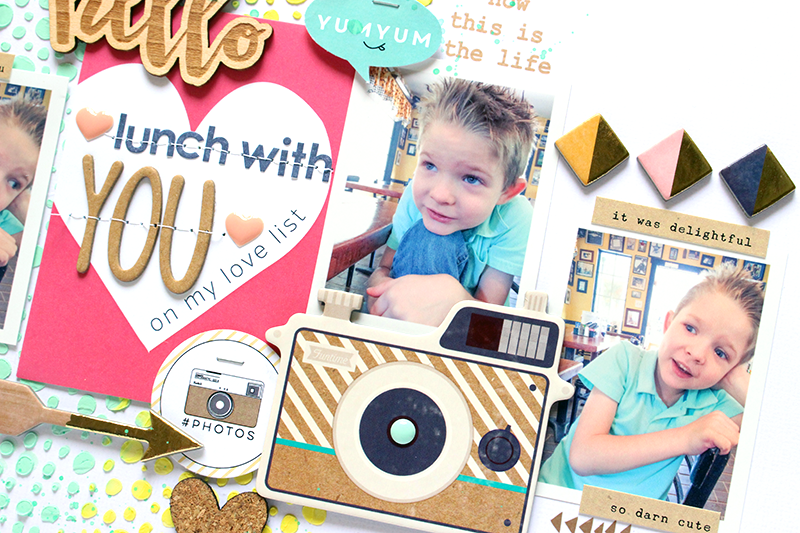 I’ve been having a lot of fun lately with the Color Add-On Kits, and adding a Mixed Media look to my layouts. 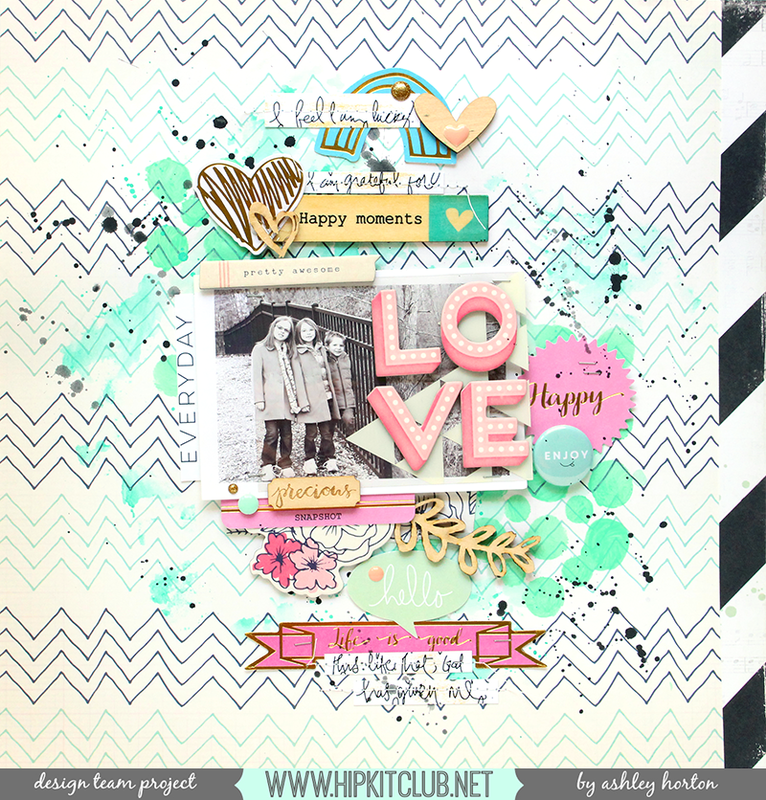 I love the look of Mixed Media, but haven’t used it a lot in the past. 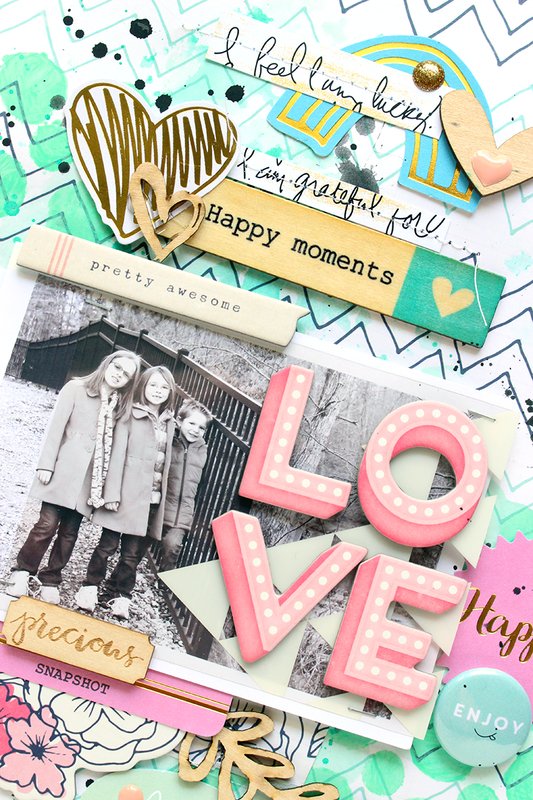 But after seeing how much fun Irit and Missy have with the techniques, I’ve been using it a lot more and the Color Add-On Kits are perfect, whether you’re a beginner at Mixed Media or a pro! 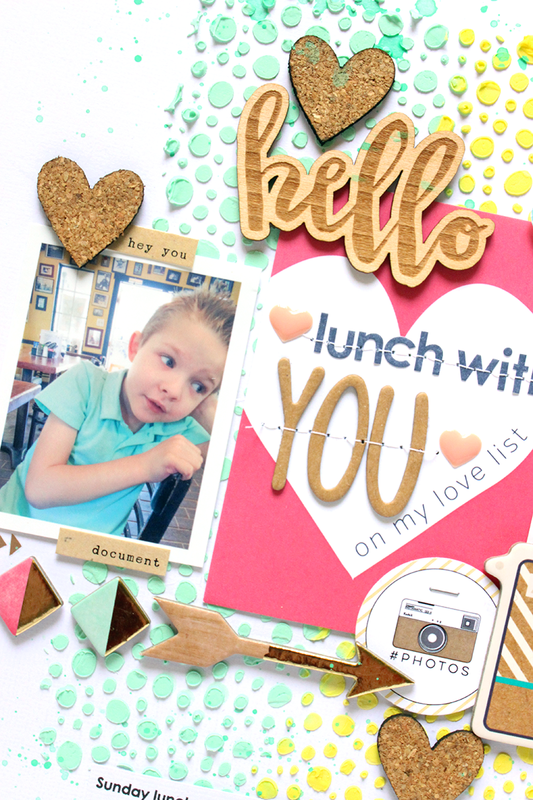 This week, I incorporated some Mixed Media onto my backgrounds, using the March Color Add-On Kit.